Allison Thompson, our instructor (and co-captain) is an International Yoga Instructor. When not on charter Allison spends here days studying and teaching yoga in New Zealand on her way to finishing a diploma of yoga therapy. 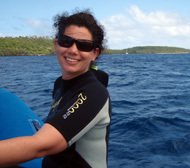 Let Allison design a charter that combines your love of yoga with a sailing holiday in the South Pacific. We know how to make a yoga vacation special. For many it starts with the right food. Eating well while on vacation can be a challenge. Not aboard our sailing yoga catamaran. We prepare food that treats your body as a temple. Vegan, vegetarian, large salads, and all organic when possible. Check out our Vegan page or our vegetarian page. Our yoga Holidays are designed specifically for you and your guests. Expand your Yoga practice, or take the opportunity to explore Yoga for the first time. 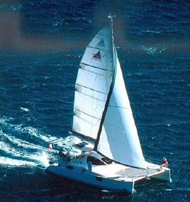 With years experience teaching & sailing, we can accommodate all levels from beginners thru advanced. Our Yoga cruises include morning Yoga classes and meditation. Daily workshops available at no added cost. Explore Yoga at your own pace with personalized instruction. Participation is encouraged but voluntary. Some prefer to completely immerse themselves in the practice, while others may wish to simply relax & explore nature in their own way. There is plenty of room aboard Mariah for everyone to enjoy a relaxing vacation. Treat yourself and your loved ones to a specialized world class get away. Come with us for a vacation of a lifetime. 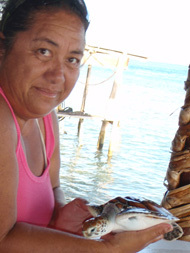 read the testomonials, view the activities page, read about the crew, and make the call to book your 2010 vacation. To book-click here and contact us.